With experience in matters spanning virtually every segment of the U.S. economy, our practice encompasses private litigation arising from federal and state securities laws, including class action lawsuits; shareholder derivative and corporate governance litigation; mergers and acquisitions litigation; representation of companies and individuals in connection with inquiries, subpoenas and investigations by regulatory agencies or prosecuting authorities; internal corporate investigations and representation of special litigation committees; and advice and counseling in connection with directors and officers insurance issues. While we are known for our work on high-stakes securities and corporate law, we are also committed to helping clients quickly and efficiently resolve straightforward cases. To that end, our clients appreciate our flexibility and willingness to work with them in considering alternative fee arrangements, which have often resulted in substantial client cost savings without sacrificing top-tier representation. For the more complex and higher-dollar matters, we enjoy longstanding relationships and serve as panel counsel with major directors and officers insurance liability carriers, which allows us to help our clients maximize coverage and navigate other challenging coverage issues. Countrywide Financial: representation of Angelo Mozilo. Served as lead counsel for the former chairman and CEO of Countrywide Financial Corporation in dozens of shareholder and regulatory lawsuits and government investigations, which arose from the 2008 global financial crisis and losses suffered in the mortgage banking industry. Our successful representation of Mr. Mozilo has been the subject of international media attention and positive commentary. Among the matters we handled were more than 90 separate civil lawsuits throughout the United States, several brought as investor class actions under federal and state securities laws, and several more pursued by attorneys general of various states. In a number of the lawsuits brought by institutional investors in Countrywide securities or mortgage-backed securities, we achieved dismissals at the pleading stage (one of which was affirmed on the merits by the Second Circuit Court of Appeal), and we also were successful on motions to dismiss civil lawsuits brought by state attorneys general of Florida and Illinois. We also defended Mr. Mozilo against claims brought by the U.S. Securities and Exchange Commission, which we settled on the eve of trial without our client admitting any liability and on terms widely reported to be exceptionally favorable to the defense. In an interview aired on 60 Minutes, a law professor described the settlement as a “slap on the wrist.” Other shareholder cases were settled without any personal contribution from our client, including a nationwide class action settlement totaling $624 million. Most recently, the U.S. Department of Justice determined, after several years of intense investigation and extensive presentations and submissions by Irell & Manella LLP lawyers addressing the merits, to close its investigation of possible claims against Mr. Mozilo. Tesla Motors. Secured a dismissal with prejudice of a shareholder class action against Tesla Motors and its founder and CEO. The case was filed following two highly publicized incidents involving Tesla vehicles and alleged that the company failed to adequately disclose risks of fire from underbody collisions. The plaintiffs claimed the incidents revealed the risk and caused Tesla’s stock price to drop. In September 2014, in response to the motion to dismiss and an oral argument by Irell on behalf of our clients, U.S. District Judge Charles Breyer ruled that Tesla executives accurately described the exemplary safety record of its vehicles and dismissed the complaint without leave to amend. Irell obtained a unanimous affirmance of the dismissal by the Ninth Circuit Court of Appeals. Public Storage. Represented Public Storage, a publicly traded Fortune 500 company, in connection with a securities class action lawsuit which sought to enjoin Public Storage’s acquisition of a number of limited partnerships in which it served as the general partner and, later, for alleged damages resulting from the mergers. The plaintiff limited partners argued that Public Storage had breached its fiduciary duties, the limited partnership agreements and California’s Limited Partnership Act by, among other things, paying too low of a price for the limited partnership units and failing to have an adequate process in place relating to the transaction. The court denied plaintiffs’ motion for injunctive relief and the transaction closed. Plaintiffs continued to aggressively pursue their damages case to trial. After a two-week trial in 2016, at which Irell represented the company, the court ruled entirely in favor of Public Storage and denied plaintiffs any recovery. (See "Public Storage Defeats Shareholder Class Action" in the Los Angeles Business Journal and "Irell Locks Up Win for Public Storage" on Law.com.) Irell’s trial victory on behalf of Public Storage was recognized as one of the “Top 20 Top Defense Verdicts of 2016” by the Daily Journal. MGM Resorts International. Represented the current and former senior-most officers of MGM Resorts International—the worldwide hotel, resort and gaming company—including the company’s current and former CEO and chairman of the board, CFO, former general counsel and senior executive vice president. We successfully defended our clients in each of several shareholder class actions and derivative suits in federal and state trial and appellate courts. The claims concerned the company’s decline in financial performance and liquidity challenges during the global recession and following the construction and opening of the $9 billion CityCenter project in Las Vegas, the largest private construction project ever undertaken. Irell secured a dismissal with prejudice of all claims in the state derivative suits, followed by a victory in the Nevada Supreme Court, which affirmed the dismissal. Irell also won a dismissal with prejudice of all claims in the federal derivative suit. We further resolved the claims in the federal consolidated shareholder class action with a settlement that required no payment and no admission of liability by MGM or its executives. Irell then represented our clients before the Ninth Circuit Court of Appeals, which unanimously affirmed the settlement approval and dismissal of the securities class action. M&A class action cases. Successfully defended numerous acquirers, targets and board members in high-profile shareholder class actions resulting from proposed mergers and acquisitions. We have recently represented and secured successful results for companies (and/or board members of companies) such as Ticketmaster, True Religion Apparel, Bausch & Lomb, CapitalSource Bank, Mid-State Bank, Power-One, Danaher Corp., CPI, Internet Brands, ABB and Ventas. Ligand Pharmaceuticals. Represented Ligand Pharmaceuticals, its CEO and CFO in a shareholder class action filed in the U.S. District Court for the Southern District of California. The complaint generally alleged that the company’s restatement of certain prior period financials demonstrates that the company made materially false and misleading statements about certain financial results and internal controls. Irell secured a dismissal. Calavo Growers. In this consolidated securities class action, Irell represented Calavo Growers Inc., a global leader in the avocado industry and a leading provider of diversified fresh packaged foods, and certain of Calavo’s officers and directors in the defense of securities fraud allegations relating to Calavo’s January 2015 restatement of its audited financial statements. Irell twice won dismissal of the complaint—the first time with leave to amend and the second time with prejudice. Petroleum Development Corp. Represented Petroleum Development Corporation in multijurisdictional litigation arising from a series of transactions in which the company bought out limited partners in certain oil and gas development limited partnerships. Plaintiffs alleged Section 14 disclosure claims as well as state law claims for breach of fiduciary duty. The litigation involved complex questions concerning the valuation of the partnerships’ assets, including the effect of new oil and gas technologies on the value of those assets, and related disclosure issues. The litigation included a class action lawsuit pending in the U.S. District Court for the Central District of California and an appraisal action in West Virginia state court. Shortly before trial, PDC reached a settlement with the class. One of the lead plaintiffs elected to “opt out” of the settlement and is pursuing his claims in the U.S. District Court in Colorado. We continue to defend PDC in that case. OCZ Technology securities matters. Represented Ryan Petersen, the former CEO of OCZ Technology Group Inc., in defense of various securities law and investor lawsuits throughout the country, and in a civil lawsuit brought by the U.S. Securities and Exchange Commission. Our representation of Mr. Petersen has included defense of a federal securities class action and a separate shareholder derivative action brought on behalf of OCZ in the U.S. District Court for the Northern District of California for alleged breaches of fiduciary duty, waste of corporate assets and unjust enrichment, among other alleged violations. Both actions were resolved successfully for our client, with settlements funded entirely by the company’s D&O insurers. 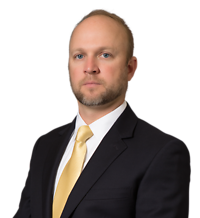 We also represented Mr. Petersen in a threatened adversarial action by the U.S. Bankruptcy Trustee in the District of Delaware, a matter that was resolved successfully pre-suit for less than expected costs of defense and, again, without any contribution by our client. We resolved the SEC enforcement action with a favorable settlement for Mr. Peterson, without him providing a deposition or claiming Fifth Amendment privilege. None of the settlements required any contribution from our client. 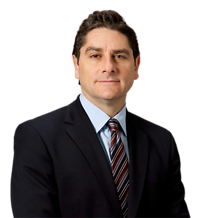 The Recorder Recognizes Glenn Vanzura as an Attorney on the "Fast Track"